Quickbooks is the leading accounting and payroll software for small to medium businesses. Its intuitive interface is easy to understand, even if you lack an accounting or financial background. It integrates with other programs such as Microsoft Excel, making it easy to import data. Quickbooks training courses at National Business Training will help you learn all the features that Quickbooks has to offer. Course topics include entering company details and building lists, setting up and managing inventory, recording product sales, creating invoices, setting up and managing bank accounts, managing Assets and liabilities, and payroll. Live, online instructor-led QuickBooks training courses are available to take in Raleigh, Durham, Greensboro, Charlotte, Winston-Salem, and wherever your employees are. 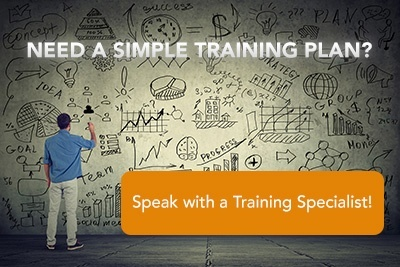 Discover how National Business Training can help you master QuickBooks with a Training Solutions Plan today! Students will become familiar with the Quickbooks 2014 software, and will learn the new features and functionality of the content. This Quickbooks 2015 training guide course is dedicated to providing you with a flexible, high-performance learning system. This training guide is dedicated to providing you with a flexible, high-performance learning system.